An international business consultancy based in rural Wiltshire has opened an office in Brazil, which boasts one of the fastest-growing economies in the world. From a barn conversion outside Marlborough, Whitefield International works with British companies in identifying new markets abroad, and helps foreign firms find a foothold in the UK. The company is retained by the US State of Georgia to identify inward investment and trade opportunities in the UK and Ireland and is working with the City of Marseilles to promote its 500,000 sq metres of office accommodation to British companies looking for a Mediterranean base. Whitefield International has 20 affiliate offices around the world, including bureaus in the Middle East, Far East and the USA, and the opening of an office in Sao Paolo – the largest city in Latin America – marks Whitefield´s first foray into the continent. 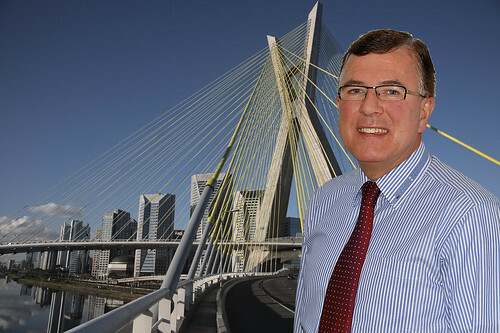 Managing director Mike Harling said: “Brazil is an enormous market and one that despite the economic recession is still growing at a pace that far outstrips Europe. “The World Cup will be held there in 2014 and the Olympic Games in 2016 and the country has been recognised as a priority market by the UK Government. The Sao Paolo office will be managed by Camilo Gonzalez, a senior local business executive experienced in working with Brazilian, international and UK businesses. Whitefield International can also assist UK national and regional government authorities and promotion agencies – including recently-established Local Enterprise Partnerships – identify companies in Brazil looking to trade with and invest in the UK, creating business and jobs in the UK.